A common question circulating among millions of Mac OS X users "Is it possible to create PDF on Mac?" You just need a powerful and stable tool for all your PDF needs. No worries, this article offers two different solutions on how to create a PDF on Mac, and you can choose accoeding to your needs. 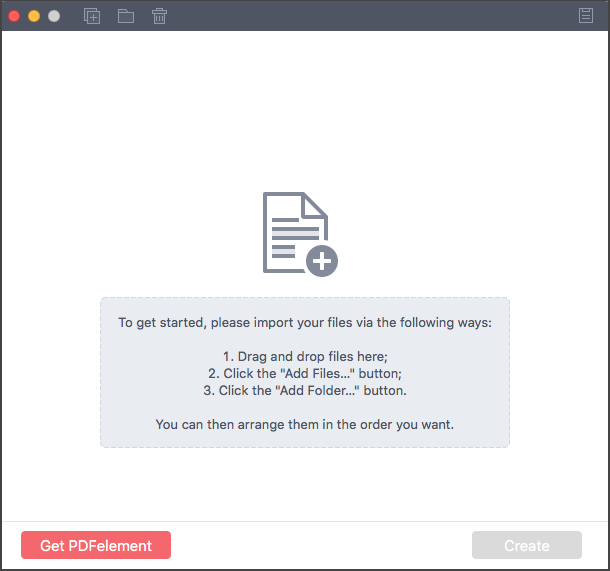 PDFelement for Mac is an all-in-one PDF program which provides all the necessary functions to modify, annotate, convert and create PDF effortlessly. 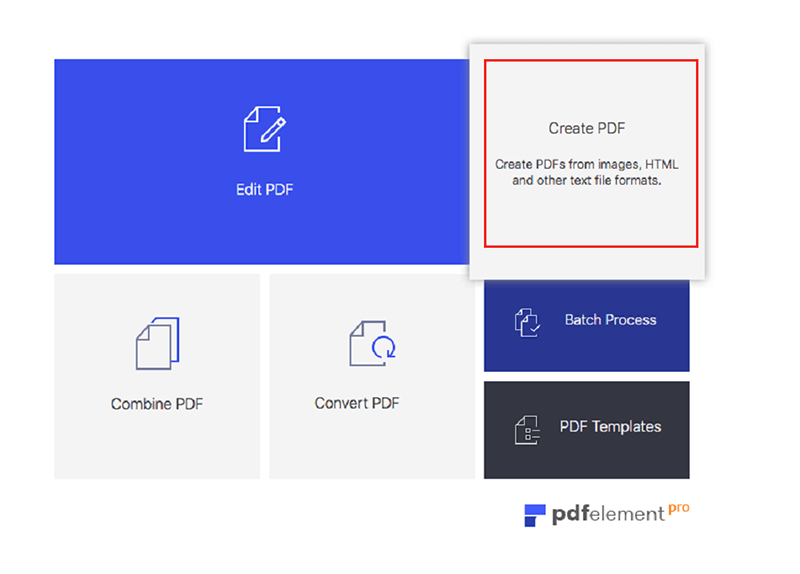 If you are looking for a product which allows you to edit seamlessly and convert from any wide range of file formats to PDF on Mac (macOS Mojave included), then PDFelement is a perfect tool to convert to PDF Mac. It provides all the necessary editing tools such as edit text, add object, insert or extract pages etc. You can add comments, highlight text, add sticky notes, add/remove watermark, add markup, add pages, create forms or surveys and so on. PDFelement for Mac is popular among businessmen as it supports everything they need to create, convert, edit or organize PDF's effortlessly. Install PDFelement for Mac and open the application. To create PDF from other file formats, choose the "Create PDF" option on the Home window. You can drag & drop the PDF files or select any files by clicking the "Open File..." button. After opening the file in PDFelement, you can modify the document by using its customization tools. To save, simply go to "File" menu and click the "Save As" to save the PDF file in any file location of your Mac. 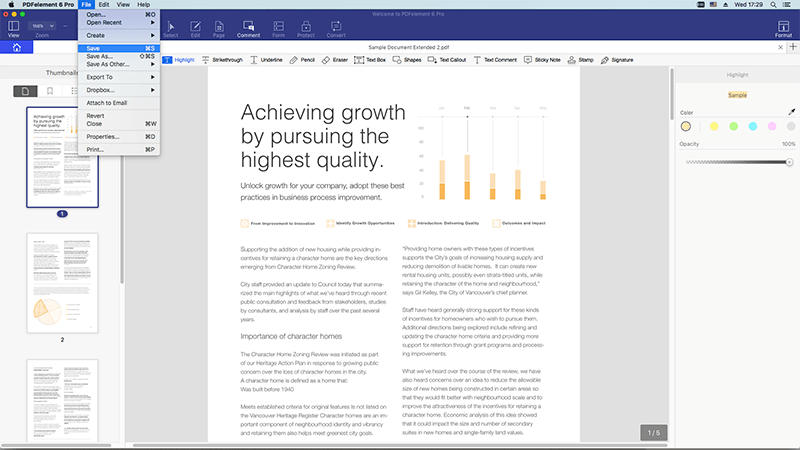 PDF Creator for Mac is another popular PDF application which allows you to create PDF from Word, PPT, Excel. There is no compromise with the original quality of the PDF document such as its formatting & layout. You can preview the converted PDF document to further read or edit the content as per your requirement. It is easy to download for all Mac OS versions along with macOS Mojave. Try it for free and create PDF from any document effortlessly within seconds. 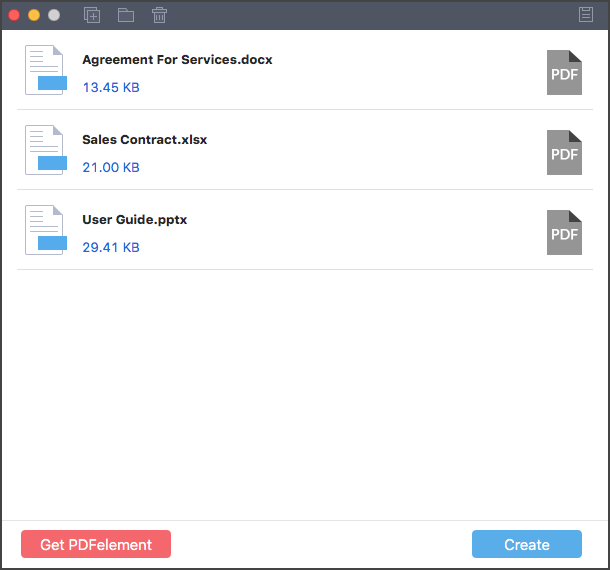 It is a perfect tool for creating PDF on your macOS Mojave. Wondershare PDF Creator is a simple and powerful tool to create PDF instantly. To add files for conversion, simply drag & drop the target files in the application. Alternatively, just select "Add Files" or click the "Add Folder" option to open the target files. There is no file limit, so upload any number of files to convert them into PDF. After uploading the target files, simply click the "Create" option at the bottom right corner of the window. You can modify the output file as per your requirement. Click "Command + S" to save as PDF Mac.